Brightway exists to help everyone associated with the business reach their personal potential. Many companies know what they do. Many do not know why they do it. Together, the “why” we do business—to help people achieve their personal potential—along with the “how,” guided by our Operating Mandate and Core Values, make us the award-winning independent agency franchise we are today and ensures alignment with our Agency Owners. From the start, we’ve always operated in ways that produce Win-Win-Win outcomes, or what we like to call W-cubed (Win3). Brightway's success is defined in only one way: By the success of our people. Brightway is proud of the superior financial results Agency Owners in the system achieve and publicly discloses them. Other franchise systems rely on selling franchises to remain viable. Brightway is profitable at its core business - selling and servicing insurance. David and Michael Miller started franchising Brightway in 2008, and the company is still family owned. Today, we are one of the largest independent insurance agencies in the country. What started out as a vision of how an agency “should” operate and serve customers is today one of the country’s largest Personal Lines independent agencies offering entrepreneurs an opportunity to join the leading insurance agency business opportunity in the U.S. Under David’s leadership, everything the company does is a win for franchisees and a win for customers. Because of the perfect financial alignment, when these two key stakeholder groups win, Brightway wins. David’s day-to-day role includes important work in mentoring the company’s future leaders and helping everyone achieve their personal potential. 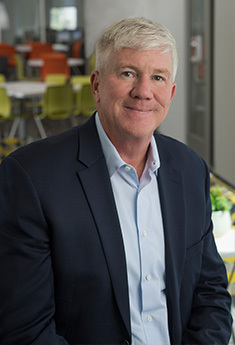 Michael’s day-to-day focus is setting the strategic agenda for the company, helping Brightway continue to innovate in ways that help everyone associated with the business grow and prosper. 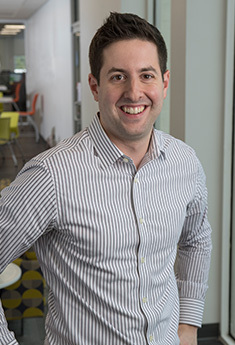 Michael started his career in a high-volume sales call center environment, driving sales and technology innovations that resulted in continuously improved results. He brought that experience forward and built his own mortgage brokerage company before he joined his brother at Brightway. It is that drive for results and focus on accountability that Michael brings to bear every day in his work in leading the Executive Team to produce better and better results for business partners. And, it’s those experiences that help him to build future leaders throughout Brightway. Under Michael’s leadership, the Executive Team’s focus is building the best business opportunity in the country, bar none. And, we’re on our way, having already been named the Best Franchise to Buy by Forbes magazine. Talman brings more than 30 years’ property/casualty industry leadership with him to his role running the day-to-day operations at Brightway. 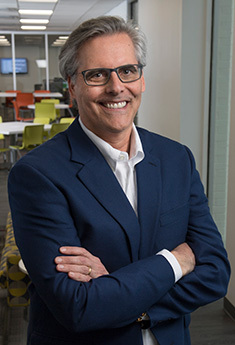 A 30-year veteran who spent most of his career at industry-leader Progressive, he has extensive background in all facets of carrier operations which makes him uniquely suited for his role. 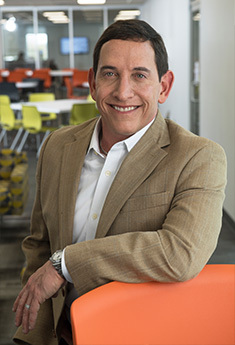 To recognize his strength of leadership and the resulting growth at Brightway, he was named an Ultimate CEO by the International Business Times. Bob brings more than 30 years’ financial leadership experience, many of them in franchising, to his role as Brightway CFO. This experience, combined with the experience of starting his own business, gives him a unique perspective to Brightway franchisees. Bob’s role is helping franchisees understand how their businesses are performing through providing a series of push-and-pull management reports that detail operational efficiency along with authoritative analysis of the reports. 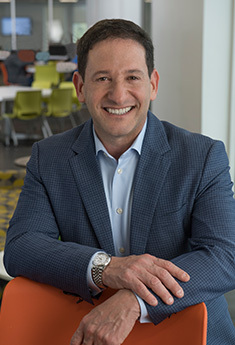 His unique business experience also empowers him to lead the company’s efforts in leveraging technology to help make each agency more efficient and profitable. Bob has been recognized as an “Ultimate CFO” by Jacksonville Business Journal. Kris is responsible for all groups within the company involved in delivering a world-class customer experience to our customers. Her more than 30 years’ experience in property/casualty operations position her perfectly for success in this role. Her experience includes growing world-class call centers from start-up (6 people) to fully mature and thriving (6,000 people). 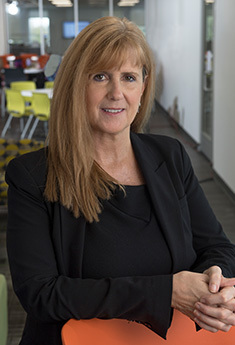 Through her tenure with The Hartford, she wore many hats, giving her a well-rounded background that includes product development, pricing and underwriting, carrier management, Marketing and Distribution. Leslie brings 31 years’ property/casualty insurance experience to her role at Brightway in which she leads all franchisee-supporting groups including Franchise Marketing and Sales, Onboarding, Agency Support, Agency Development, Agent Training, Marketing/Social Media and PR/Communications/Web. Throughout her career, she’s been instrumental in building tools to help independent agents throughout the country grow profitably. She brings that experience forward as she leads her teams in helping Brightway business partners grow as quickly as possible, starting with comprehensive onboarding and supporting them throughout their careers with world-class marketing and sales tools and consulting. Leslie was named one of the Women in Franchising, leaders influencing the franchise business model, by FranchiseBusinessREVIEW. Chinikqua brings more than 17 years of Personal Lines insurance experience gained at The Hartford, The Hanover Insurance Group, and Citizens Insurance (Florida) to bear in her role as VP of Strategic Initiatives at Brightway. 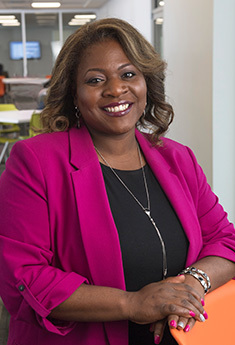 Throughout Chinikqua’s career she has led all aspects of strategic initiatives that lead to increased efficiency, company growth and profitability, including initial research, project milestones, project management, implementation and measurement. At Brightway, she manages the work of key groups in the organization including Business Analytics, IT, Systems Administration and Quality. Chinikqua is graduated from Duke University, where she earned her bachelor’s degree, along with two master’s degrees—one in Engineering Management and one in Business Administration. Prior to joining Brightway in January 2019, Max served as Brightway’s franchise attorney at the leading franchise law firm, Fisher Zucker LLC in Philadelphia, Pennsylvania. During his tenure there, he also worked with over 100 other franchises in a wide variety of industries and presented at the International Franchise Association’s Legal Symposium on multiple occasions. Max has also served as CFO and In-house Counsel for a privately held company developing a proprietary automated cryptocurrency trading program. Max holds his J.D. from the George Washington University Law School and earned his bachelor’s in Economics from Pennsylvania State University. What is it like to partner with Brightway? During my discovery process, I had a franchise attorney review Brightway’s contract. I understood that Brightway was aligned with its franchisees success, and my attorney said that this is the most franchisee-friendly contract that she had ever seen. That spoke volumes to me, and throughout my onboarding process, I have continued to see and feel the investment that Brightway is making in me. I think the company culture is outstanding, and the attitude at Home Office is very positive. As a company, Brightway is always coming up with ways to improve every area of our model…and it shows. The Operating Mandate of Win-Win-Win is one that really resonates with me and my team. As long as we approach every situation with this as our business and moral compass, we just can't fail. Our motto is ‘Always do what's best for the client.’ I feel Brightway Home Office is aligned with that message, because they always work hard to do what's best for both our franchise and our customers. I had been reading Brightway’s marketing materials for years while working as a producer at a captive agency. I finally decided to look more closely at the Brightway opportunity when I realized that I’d gone as far as I could in that position. Now that I am operating my own agency in Tennessee, I can tell you that I regret wasting all of those years not offering more choice and expert consultation to my customers. I wished I had joined the Brightway family sooner. It was a big step, going from a producer to running my own business, but it’s the best decision I have ever made.